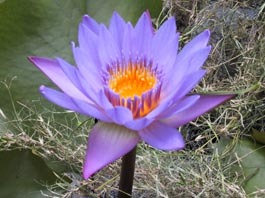 Buy Blue Lotus / Blue Lily flower premium quality Nymphaea caerulea flowers, 50x extract, and 100x extract. This new extract enhanced flower product is a powerful concentrate of the flowers reapplied to crushed blue lily material so that 1 gram is the equivalent of 50 grams of flowers. Blue lily is the botanical that is mistakenly and popularly referred to as blue lotus. Select phytochemicals of the blue lily are isolated in this material. Blue lily is the botanical that is mistakenly and popularly referred to as blue lotus. The rare seeds to grow blue lily/lotus!